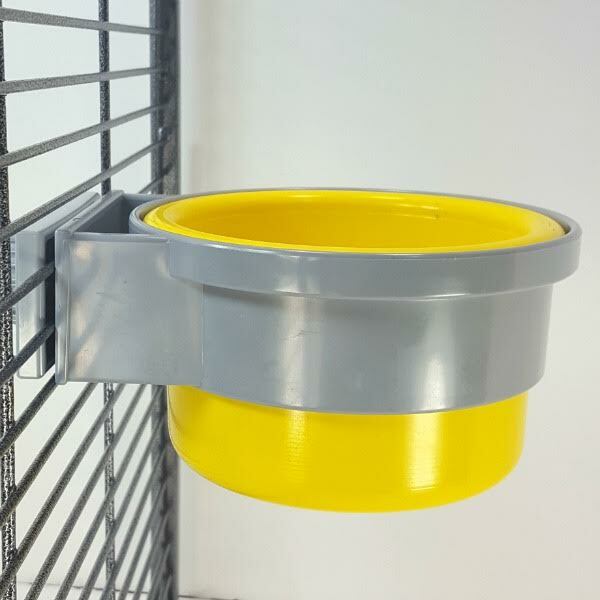 If you live with one African Grey, Eclectus, Jardine, small Cockatoo or Amazon, this is a high value cage for you. A separate play stand is recommended. 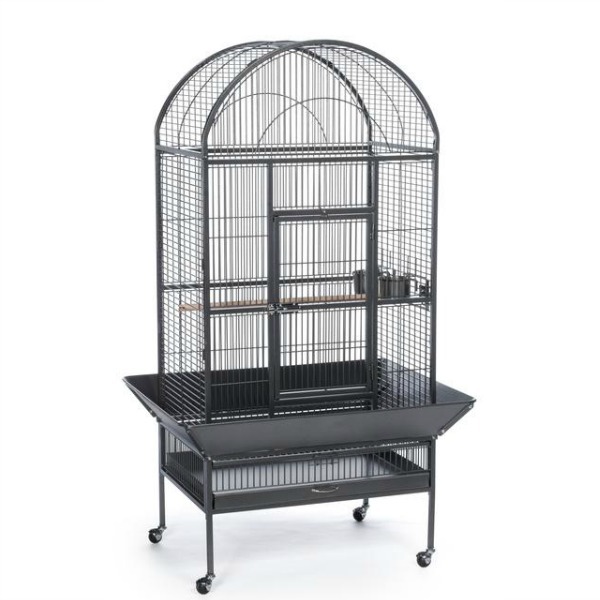 Prevue Pet Products Wrought Iron Select bird cage offers quality craftsmanship at an affordable cost. Constructed of wrought iron, the heavy-duty push button lock keeps your bird securely inside its bird cage when playtime is over. This bird cage also includes two stainless steel cups, one wood perch and a castered stand for portability. Both tray and bottom grille are removable for ease of cleaning while the rounded corner seed guards control mess around the bird cage. This cage is well-made, with plenty of space for my Senegal parrot. I move the cage from room to room on a daily basis, so mobility was a high priority for me. Assembly was a bit challenging because the panels are large/heavy/sturdy and somewhat awkward to maneuver. I don't use the seed catcher trays. Lots of floor space for foot toys and play. Would I buy this cage again? Definitely YES.